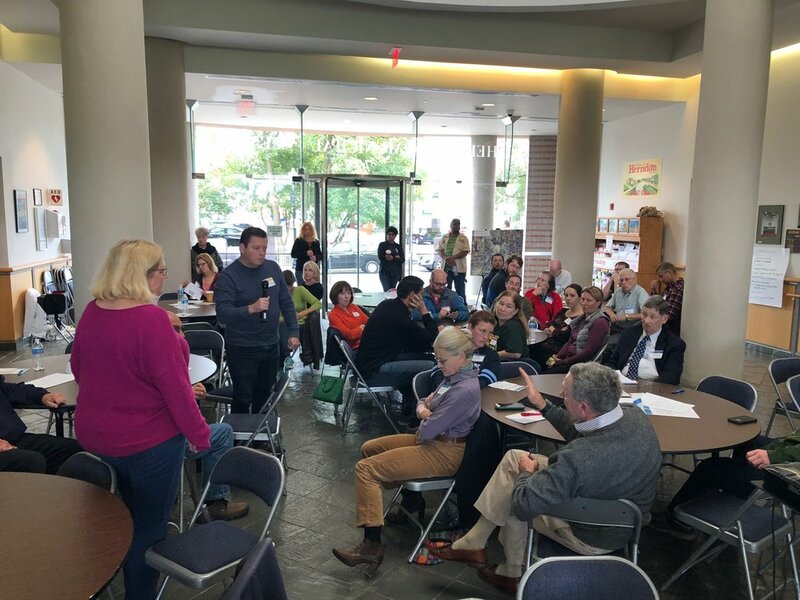 The WPA + CPG Team held the first Public Outreach Meetings in Herndon on October 19 and 20, 2018. At noon on the 19th, we spoke with members of the Downtown Herndon business community about their experiences owning properties and operating businesses in the Heritage Preservation Overlay District. Then, at 1pm, we invited the public to stop by and talk to us about their own experiences, whether in downtown or in their neighborhood. From 10am to 12pm on the 20th, we worked with a great group of citizens to dive a bit deeper into how the District and its Guidelines affect them and their properties. We’re still sifting through all of the information we gathered to produce a report and draw some conclusions about the future guidelines that we’ll be writing, but you can look through the notes we took here. Did you attend the Public Meetings and think of ideas you wanted to share after we left, or were you unable to attend and wish you’d had a chance to tell us your thoughts? It’s not too late! Use the form on the Contact page to give us any more information you think we need in order to produce the new Herndon Heritage Preservation Overlay District Guidelines. Click here to find out more about the upcoming public outreach meetings where you can give your input about the new Preservation Guidelines being developed for the Herndon Heritage Preservation District!